Elon Musk frequently makes outrageous requests of his staff in his quest to remake global transportation and colonize Mars. But the terms he wanted on a loan for SpaceX were too much even for his closest ally on Wall Street. As recently as last week, Goldman Sachs Group, Inc. had been canvassing investors for interest in $500 million of Space Exploration Technologies Corp. debt. By the time interested parties showed up Wednesday at the Four Seasons hotel in midtown Manhattan for a breakfast meeting, Bank of America Corp. was running the show for a $750 million deal. The switch surprised bankers and investors, as Goldman is widely viewed as the Wall Street firm with the closest relationship to Musk. It helped take Tesla, Inc. public in 2010, led a $1.8 billion bond sale last year and advised on his short-lived attempt to take the electric carmaker private for $420 a share. While Bank of America has a lending relationship with SpaceX, it has been shying away from some of the riskiest corners of the corporate-debt market. Goldman balked when SpaceX, a first-time issuer, wanted wide latitude to raise additional debt in the future, according to people with knowledge of the matter who asked not to be identified because the discussions were private. The hesitation highlights uneasiness among banks that have been challenged by regulators over the risks they’re taking in the $1.3 trillion leveraged-loan market. Insatiable investor appetite for floating-rate debt has allowed heavily indebted companies to extract more concessions from lenders. The loan isn’t the only way Musk has been trying to raise cash with SpaceX, which was founded in 2002 and last valued at about $28 billion. He also recently inquired with at least one bank about a personal loan tied to his stake in the rocket company, a separate person with knowledge of the matter said. Representatives for Bank of America, Goldman Sachs and SpaceX declined to comment. Musk, 47, has a $24.6 billion fortune, according to the Bloomberg Billionaires Index, split roughly between his stakes in Tesla and SpaceX. But for one of the richest people on the planet, he’s relatively cash-poor. Musk doesn’t take a salary from Tesla, and he’s repeatedly gone to the market to buy the carmaker’s stock in a show of confidence in the company, which has never turned an annual profit. Musk has said the maker of the Model 3 will generate positive earnings going forward. 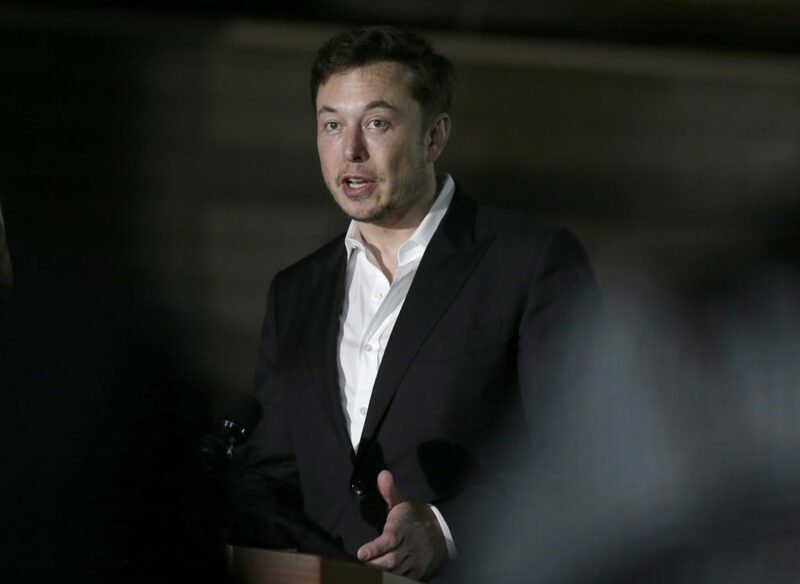 Shares of Palo Alto, California-based Tesla have jumped in recent weeks after a blowout quarter, reversing much of the damage done by Musk’s attempt to take the company private. His problematic claims to have secured funding and investor support to buy out investors for $420 a share culminated in an SEC settlement that bars him from serving as chairman for three years. Musk has indicated SpaceX won’t go public until it’s flying to Mars. The entrepreneur also has other cash-hungry investments, including Boring Co., a startup that aims to build high-speed tunnel networks using hyperloop technology. A margin loan would be one way to unlock some of the wealth Musk has generated without selling equity and ceding control. For years, he’s used his shares in Tesla to obtain personal loans. About 40 percent of his stake in the carmaker was pledged at the end of 2017, according to a filing. While SpaceX is burning through cash, disclosures to potential lenders showed the company had positive earnings before interest, taxes, depreciation and amortization of around $270 million for the twelve months through September, people with knowledge of the matter said. But that’s because it included amounts that customers had prepaid and because it excluded costs related to non-core research and development, the people said. Without those adjustments, earnings for the period were negative, they said. The provision on additional debt that Bank of America accepted and is now marketing to investors has become standard in today’s frothy loan market. And it may even be a little stricter than most. Still, many potential investors consider the loan to the rocket company risky. Bank of America agreed to arrange the SpaceX loan on what’s known as a “best efforts” basis, meaning that it didn’t commit to fund it regardless of market appetite. But banks still must be conscious of regulatory scrutiny for the loans they arrange. Last month, a top Federal Reserve official fired a rare public warning, saying that banks appear to be chasing increasingly dangerous deals and forgoing lender protections. The comments surprised Wall Street, which had been expecting lending guidelines to be watered down two years into the Trump administration.